The best wagering-free bonus of 2017 is back - and here's how to claim it! 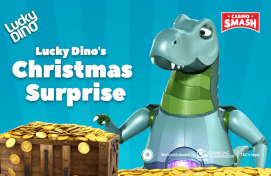 Christmas is almost at the door and BGO Casino has made this holiday season exceptionally rewarding for all the new players joining their ranks. They are giving you up to 50 Fair Spins upon making your first deposit. That’s a great way to kickstart your gaming experience on BGO and an even better way to end this 2017 with a lavish bonus. How to claim those sweet spins? 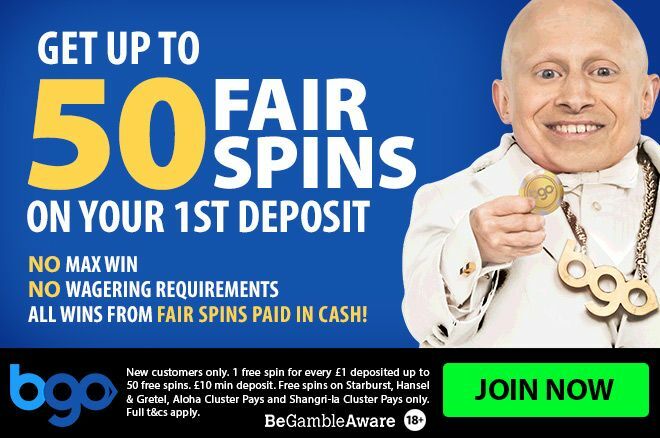 Getting the BGO’s Fair Spins is simple. There are no odd rituals or jumping through flaming hoops to claim your bonus. Enjoy your bonus as BGO gives you 1 bonus Spin for every£1 you deposited. The bonus goes all the way up to 50 bonus Spins. What’s more, is that these spins come without a wagering bonus. Yes, you get to keep everything you win. What games I can play with these fair spins? All these slots games are produced by NetENT, so you can rest assured you’ll be using your spins at some of the best and most immersive slot games in the industry. BGO Casino offers many different methods to complete deposits and withdrawals. The most popular ones are credit/debit card, PayPal, Paysafecard, Neteller, and Skrill. Attention: If you use Neteller or Skrill, your deposit will not count to access this promotion! Finally, let me will guide you through some of the conditions that apply with this bonus. There are basically two things you should keep an eye on. The first one is the fact that the Free Spins expire in three days. You can spin away as soon as you get them or you can wait until the last minute if you think luck works better under pressure. However, do not wait for more than three days - or they will disappear. The second important point is that you need to win at least £20 to make a withdrawal. Now, just visit and claim those bonuses before it’s too late to celebrate Christmas in style! GET THE BONUS AT BGO! EXCLUSIVE: We Have a NO Deposit Bonus for Casino.com!